A mix of The Ultimate x AutoMazar, AutoUltimate is Dutch Passion’s autoflowering variety of one of their best-selling strains. She is an extremely easy to grow plant, offering high reliance and vigorous growth – thanks to her top class genetics. She also has a very sweet taste and aroma, with the smoke inducing a balanced high. AutoUltimate goes from seed to harvest in 10 weeks. 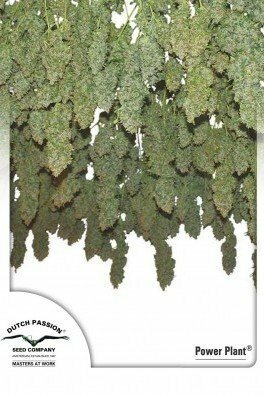 Dutch Passion breeders are renowned for developing solid cannabis plants, which produce strong and resilient genetics. Auto Ultimate is a perfect autoflowering strain for developing amazing nugs with strong resilience and an abundance of resin. This cultivar came to light by hybridizing The Ultimate together with the famous Auto Mazar. 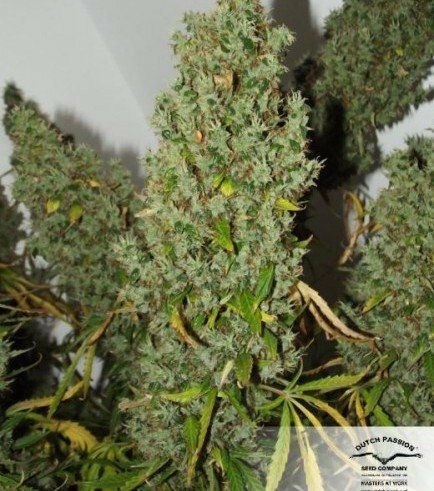 Auto Mazar is considered the ultimate autoflowering variety by Dutch Passion. Basically, Auto Ultimate has the ultimate parents. With perfect indica and sativa genetics, Auto Ultimate induces a physically stoned effect, which evolves into a more uplifting and energetic high. It depends on the consumer how the highs are experienced - the versatile sensations and feelings may present themselves in an array of ways. Auto Ultimate develops medium THC levels. It’s common for autoflowering varieties to have lower THC levels, due to their ruderalis genetics. Dutch Passion boosted the THC levels by adding an already established autoflower with a decent TCH level, Auto Mazar. It takes Auto Ultimate only 10 weeks to finish her life cycle, from seed to harvest. This autoflower has been stabilized and selected by professionals, one can expect similar phenotypes across the ganja garden. Indoors, one can expect high yields. The stems will be filled with enormous, thick nugs. Outdoor growers can expect their grow spot to be filled with dank buds cloaked by a sea of crystals. Auto Ultimate reaches about 80-100cm in height.